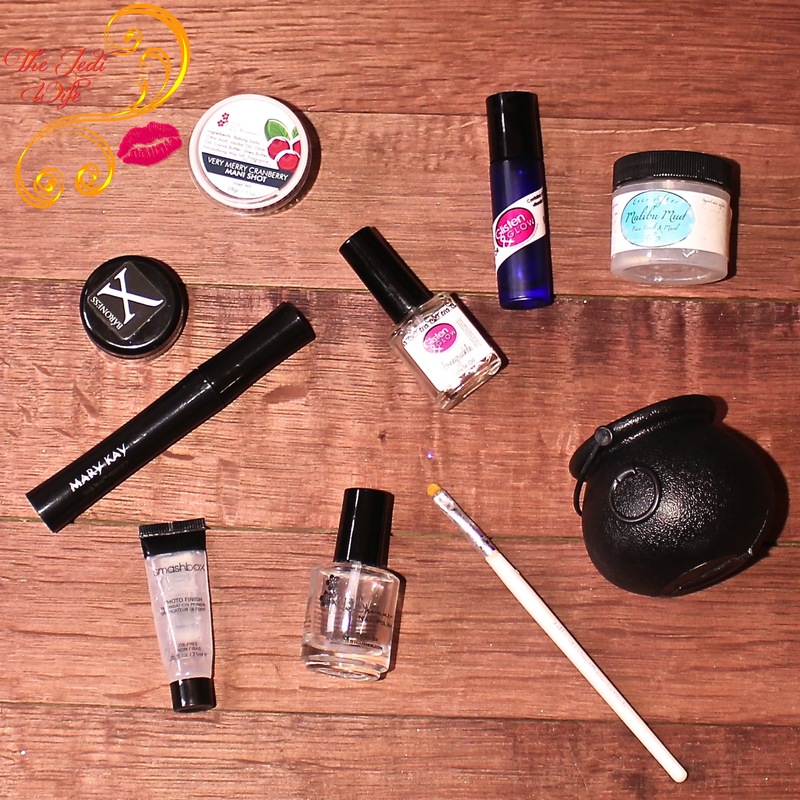 Check it out, dear readers, I'm getting my monthly empties post up earlier and earlier! Of course I'm sure I just jinxed myself for January's post next month. My goal is to get these up by the end of the first week of the month, and I think I'll be able to keep up with that plan as long as life doesn't throw any fun kinks in the mix. December 2016 saw the end of several different products, so let's jump in, check them out, and I'll give you my thoughts on them. Since I reorganized my blog space a few month ago, I found a stash of some long-missing cuticle oils that I started using but never finished. I'm slowly going through that stash, and I saved Holiday Cheer in particular for use during the holidays. Even though the weather isn't particularly dry around here this time of year, something about it being chilly and the on and off rains is rough on my hands and nails, and this cuticle oil has helped keep my nails looking their best. I like both application options although I have found myself drawn more towards rollerballs lately. I still have a stash I NEED to finish before I even think of buying more cuticle oil, but I do like this one a lot. I think a refill bottle for the rollerballs would be perfect, especially is there is a G&G scent that you love! I continued with the holiday scent-sation (ha!) by using a cranberry scented hand soak. I used to soak my nails once a week or so with these fabulous mani bombs, but it is woefully something that has fallen off my self-pampering routine. I'm sure that my preschooler insisting on soaking his hands with me played a role in that as I'm too useless of a lump to do much of anything by the time both the kids are in bed for the night. Still, I managed to give my hands and nails a little pampering with this gem last month. I'm sure my nails appreciated the little extra tlc, and it's something I'm going to try to reincorporate into my routine again this year. It's rare to see me finish a bottle of polish (although you've seen me empty a white one before! ), but base and top coats are the exception to the rule. I have a range of different top coats, and this is one I grab often. Well, grabbed in this case. It played well with most of the polish brand varieties I use and it dries quickly with a good lasting finish. I'm a little sad to see this empty! It may be intended for makeup use, but we all know that these brushes make for fantastic cleanup brushes. While not exactly something that can go "empty", this brush has been a trusty friend of mine for quite some time and it's sadly time to let it go. 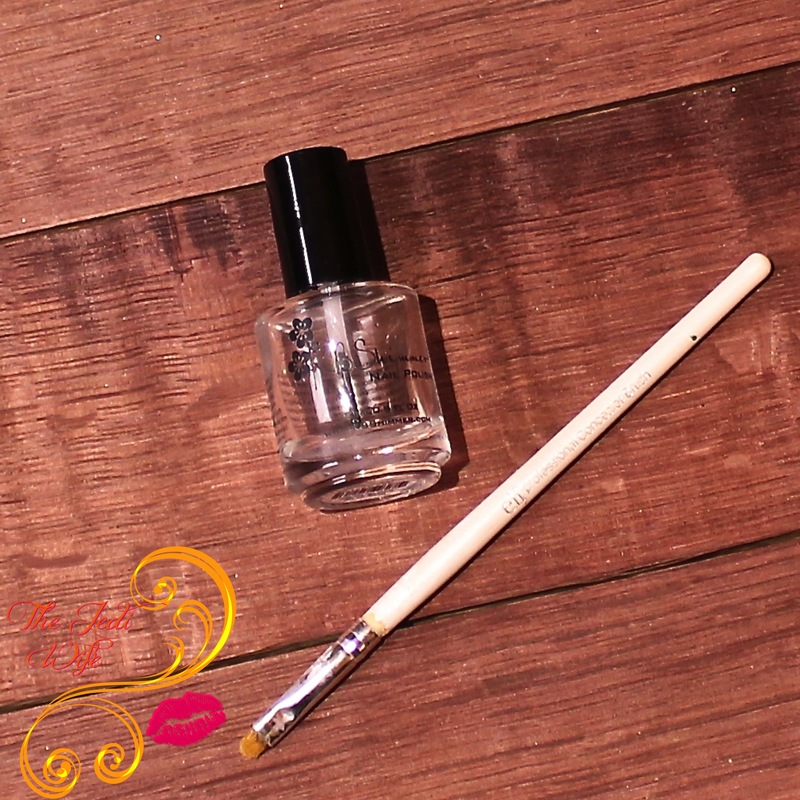 I oil my clean up brushes often to help extend the life, but the bristles on this one have become coarse and brittle resulting in random brush breaks when dipped in acetone and then on my nail beds. I have a stash of a dozen or so that I have since moved on to, but I still needed to include my painting companion in this post for its final farewell. This was in one of my collaboration boxes that I picked up, and it has taken me awhile to go through it. I don't use mud masks often on my face as I find them to be too drying, so it has taken me some time to use this. This one is a little too harsh for even one weekly use for me, and I couldn't use it as a scrub. Instead, I'd spread it as lightly as possible on my face, let it sit about 5 minutes, and then rinse it off in the shower to minimize the scrubbing. This might be better for someone with very oily skin, but it was a little too much for my combination skin. As much as I do like Ever After products, this is one I'm not likely to buy again. Fortune Cookie Soap Bath Bomb: Bubble Bubble, I'm in Trouble! This was part of the "I Put A Spell On You" Hocus Pocus-themed Halloween box, and in my opinion, the only item worthy of a positive mention from the box. I'm not sure if FCS has just fallen so much since I started using the products or if my standards have improved, but when the only thing you find you've enjoyed about a $40 box is a bath bomb, we've got problems. Scented like limoncello and sour candy, the bath bomb was actually located inside this little plastic cauldron so that it bubbled out when placed in the bath. You can see it in action below! I liked the fruity scent and the bubbling effect was cool, but I was left with little more than warm water that resembled lime jello. The amount of moisturizing elements in this bath bomb was minimal at best and left my skin feeling incredibly dry. I should add one more positive: it didn't stain the tub! While this review seems harsh, and believe me, it certainly is, I paid $40 for this freaking box that could only redeem itself with a decent smelling bath bomb with cool effects and a cheap little Halloween decoration for next year. I'm still working on the other products from this box, but they're also mediocre at best and I should probably throw them away since I get angry time every time I use them. I doubt this needs to be said, but there will be no new products from Fortune Cookie Soap in my life. I must say, for all the negative feelings I have towards Mary Kay reps being super pushy about purchasing their awful-but-top-selling skin care line, Mary Kay has some pretty nice cosmetics! Please don't mistake me, dear readers, this mascara won't make your lashes look super voluminous or extra long, but if you like a natural, soft coating on your eyelashes, Lash Love is a really good mascara! While this one still had a little bit of product left, I had been using it for about 3 months, and I am tryng to stay on top of dates and tossing my mascara before I end up with an eye infection. I haven't decided if I'm going to buy this again yet, but I probably will if I find a rep that let's me buy what I want and then LEAVES ME ALONE. I had to resort to using my mini tube of this fabulous primer since my larger one has disappeared, and given how expensive it is, I really need to find my larger tube before I buy another one. 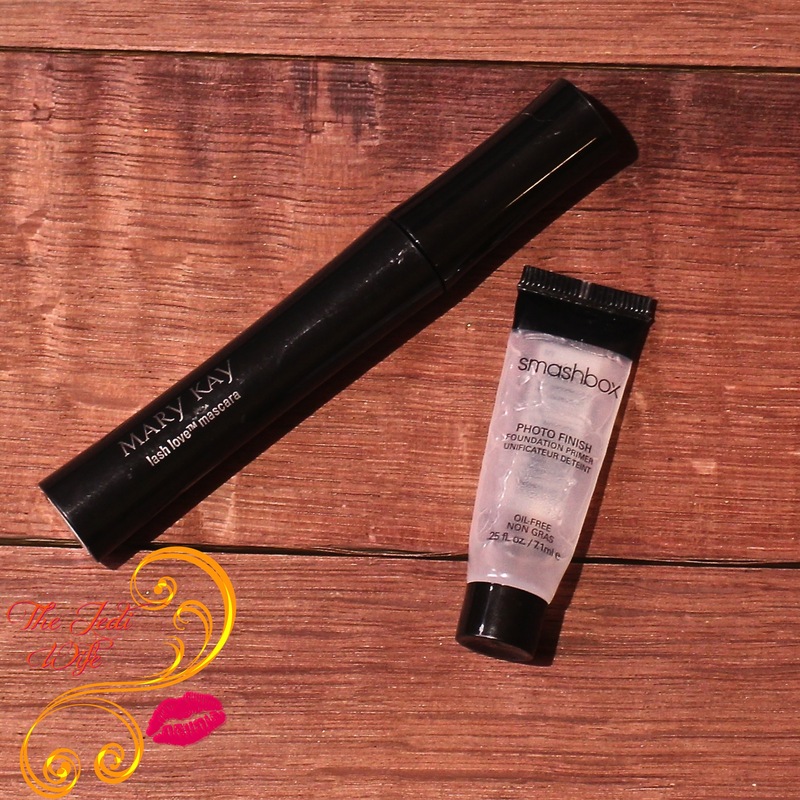 I am seriously in love with this primer, and now that I'm trying a cheaper alternative, I'm missing it so much! The velvety-smooth finish makes the perfect foundation (HAHA!) for your makeup, and it certainly makes mine last all day long! As I write this post, I'm kicking myself for not just buying a replacement since it isn't *that* expensive in the grand scheme of things and truly is a staple in my makeup routine. And that, dear readers, concludeds my monthly empties post. Some products I've enjoyed and others I can live without, but as always, it's a pleasure trying out products. I hope you've found this post helpful and informative when if comes to your own purchasing decisions! Have you tried any of the products from this post? Is there anything you are thinking of picking up? What did you empty last month that is now on your must-have list? I'd love to hear from you! I'm currently using the G&G Honeysuckle cuticle oil! :) And I hear you on "no more buying cuticle oil until I finish my stash". 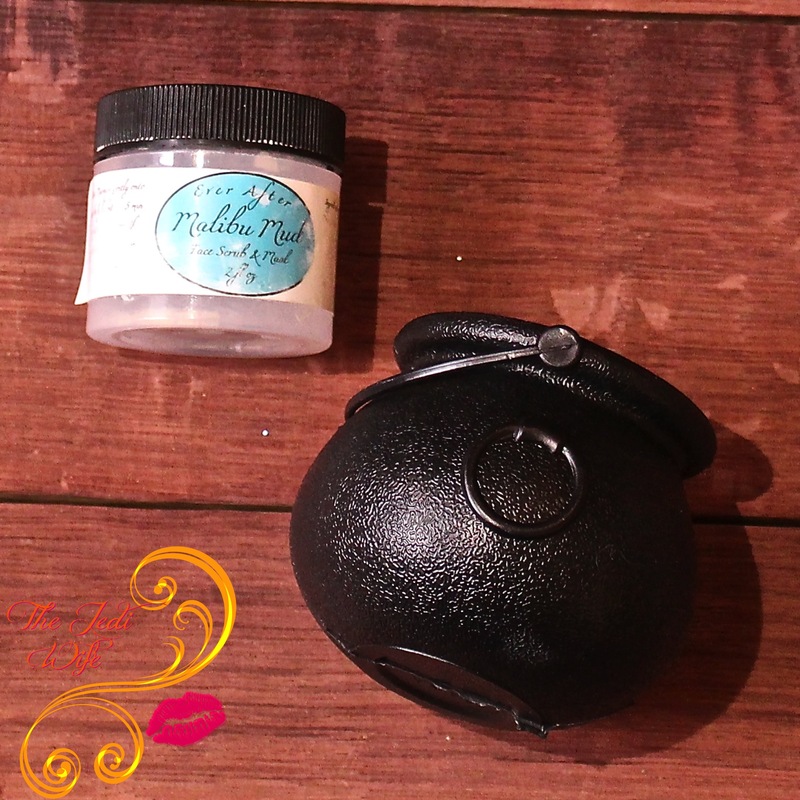 The bath bomb in the cauldron is so adorable - love me some FCS. Ohhhhh so many empties. I love it. Bummer about the box overall but YAYYYY for a good bath bomb for sure! If you clean your E.L.F brush with Zoya remove it will last longer because it is not as harsh as pure acetone :-) Thanks for the reviews! Yay, empties! I have a dozen of those elf brushes laying around too! For the price and the amount of use you get from one, you can't beat them. I love the Smashbox primer, too! Bummer that FCS box was a fail. Great recap! I love the cuticle cream from Baroness X and I need use Clearly on Too more often on my nail art. Great list! I use those elf brushes for my nails, too! Oh man...I feel you on the Mary Kay reps. I have started blogging for the company and now I get left alone so I have been enjoying the products so much more.